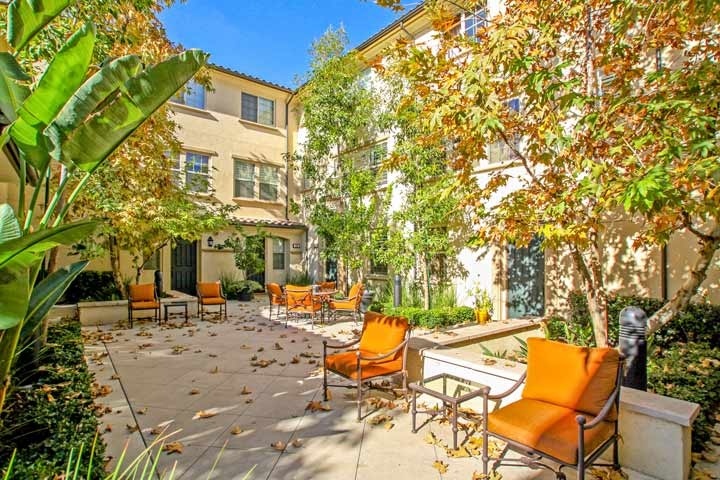 San Carlos homes are located in the coastal area of Irvine, California. The San Carlos neighborhood is located in the Portola Springs community with homes built between 2005 to 2012. These are townhouses that range from one to three bedrooms and range in size from 1,040 to 1,901 square feet of living space and built by William Lyons home builders. The homes can offer third floor master suites, gourmet kitchen with granite counters, attached 2 car garage and intimate courtyards. Homes located in the San Carlos at Portola Springs community are located under a homeowners association with monthly dues required. Portola Springs also has an additional Mello Roos tax that is added to the monthly homeowners association dues. Residents of Portola Springs get to enjoy the many association amenities which include a nice community pool, spa, clubhouse and sports court. There are also many parks in the area. Beach Cities Real Estate showcases all the current San Carlos homes for sale and for lease in Portola Springs. Please contact us at 888-990-7111 for more information on this community and any of the homes listed for sale here.